Acupuncture is officially recognized by the National Institute of Health (NIH) (ws6health/acupuncture/introduction), and the World Health Organization (WHO) (ws6traditional-complementary-integrative-medicine/en/), to be effective in treatment of a wide variety of medical problems. 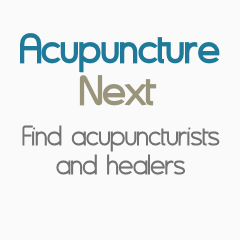 If administered properly, Acupuncture is one of the safest available therapies. For the safety and effectiveness of our medicine, NIH emphasizes the importance of your clinician’s training and credentials. Acupuncture Physicians in the State of Florida are licensed by The Department of Health’s Board of Acupuncture (ws6), after completing 4-year Master’s Program, thousands of clinic hours, and successfully passing four comprehensive National Board exams. The biggest factor in success or failure of our therapy is how motivated our patients are to get well by keeping their appointments, taking the prescribed herbal medicines and supplements, and, last but not least, making the recommended diet and lifestyle changes. Our medicine in most cases is not a quick fix, although the effects can be felt almost immediately. Our treatments help awaken your body’s natural healing systems, but, for the long-term results, we expect you to take the ownership of your health. Your energy level is dependent on the amount of a rest you get, the kind of food you eat, hydration, exercise, regular relaxation, lifestyle. With our recommended changes in your lifestyle, along with our natural treatments and therapies, you can feel better and be able to do more of the stuff you love.